GameStick's UI and some extra games show up in a new promo video! 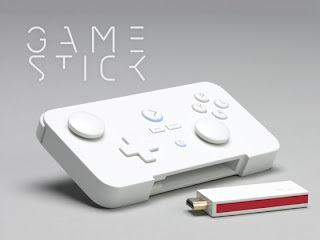 A few weeks back you might remember that we reported that the Gamestick's creators PlayJam had decided to delay the launch of their product, firstly to make sure they had enough, which added about four weeks to the process and then they had to make sure everything was in good working order! Well their latest promo has turned up on YouTube and it would seem to us that the delay is definitely going to be beneficial to customers! It seems that the UI is now much more streamlined and smooth, although it still looks similar to the Xbox's interface, just like OUYA does too. There are also a few new titles supported now too! As you can see in the video below there's now games from Madfinger on board and that means Shadowgun! There's a few other things which will make you happier too; there's Hungry Shark Evolution, Blue Toad Murder Files, Grabatron and he hugely popular Smash Cops and the ever present Riptide! Does everything in the video look like it's going to be worth the extra wait? Let us know your thoughts in the comments below and if you've ordered one are you excited?